This year’s DisAbility Summit will include research on inclusion for students with disabilities, transition services, and will provide best practices to support those with a disability. We are excited to announce our keynote speaker, Dr. Richard A. Villa, an expert in the development of administrative and instructional support systems for educating all students within general education settings. Dr. Villa is recognized as an educational leader who motivates and works collaboratively with others to implement current and emerging exemplary educational practices. The Thompson Policy Institute assesses, researches and acts on the critical issues facing people with disabilities, as well as their families, support communities and the agencies that work on their behalf as we strive together to build a more equitable future. 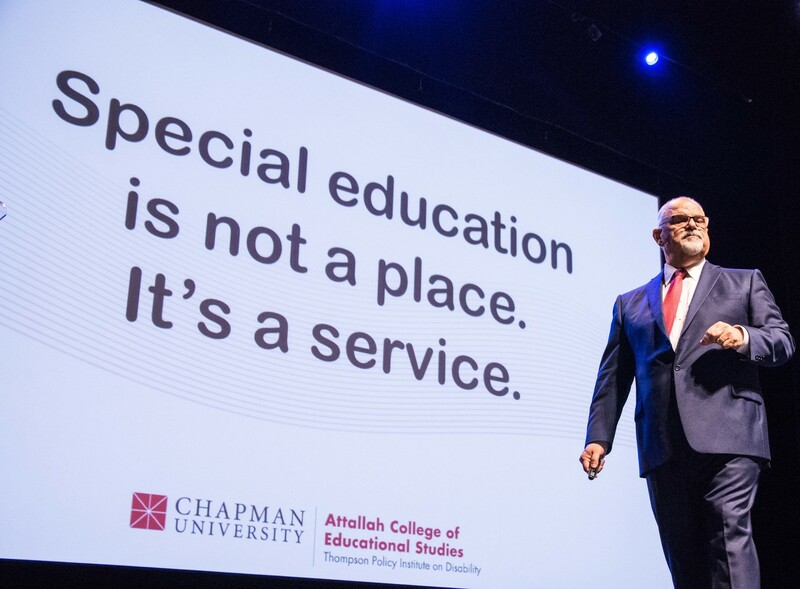 TPI research outcomes are shared regularly throughout the year and summarized annually at the DisAbility Summit at Chapman University. The work of the Thompson Policy Institute is to propose real-world solutions to these barriers and disseminate ideas, practices, and policies to those who have influence over the lives of people with disabilities. These “influencers” include individuals with disabilities, their families, policy-makers, care-givers, professionals, and even the general public who control the perception of disability and ability. Please email tpi@chapman.edu with any additional questions or concerns. Late seating is at the discretion of house management.